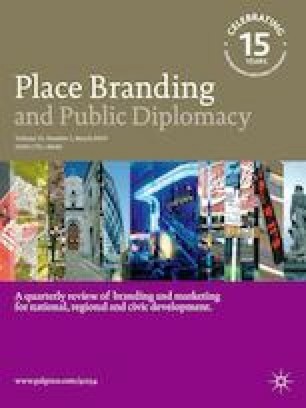 Several studies have been written that provided extensive details on various areas and historical stages of US public diplomacy in the Middle East (Vaughan in: The failure of American and British Propaganda in the Arab Middle East, Palgrave Macmillan, New York, 2005; Rugh in: American encounters with Arabs: the” soft power” of US public diplomacy in the Middle East, Greenwood Publishing Group, New York, 2006, in: Front line public diplomacy: How US Embassies Communicate with Foreign Publics, Palgrave Macmillan, Hampshire, 2014, Cull in: The Cold War and the United States Information Agency: American Propaganda and Public Diplomacy, 1945–1989, Cambridge University Press, Cambridge, 2008, in: CPD Perspect Public Dipl 2:19, 2009, in: The Decline and Fall of the United States Information Agency: American Public Diplomacy, 1989–2001, Palgrave Macmillan, London, 2012, Seib in: Toward a new public diplomacy, Palgrave Macmillan, Hampshire, 2009; Seib in: Real-time diplomacy: politics and power in the social media era, Palgrave Macmillan, Hampshire, 2012). After offering a brief survey of the different developments in American public diplomacy efforts in the Middle East, this paper focuses on the US Department of State’s Digital Outreach Team (DOT) and presents an analysis of the social media outlets run by DOT. The paper concludes that the overwhelming responses are negative in nature and suggests that DOT has not achieved its intended goals because a more focused approach is needed. The online version of this article ( https://doi.org/10.1057/s41254-019-00122-w) contains supplementary material, which is available to authorized users. Al Arabiya. 2008. Arab Americans. Accessed from http://www.alarabiya.net/views/2008/06/12/51387.html. Brown, Hayes. 2014. Meet the State Department team trying to troll ISIS into oblivion. Think Progress. Accessed from https://thinkprogress.org/meet-the-state-department-team-trying-to-troll-isis-into-oblivion-3927b7c6492#.v5kr0lhn3. Cottee, Simon. 2015.Why It’s So Hard to Stop ISIS Propaganda. The Atlantic. Accessed from http://www.theatlantic.com/international/archive/2015/03/why-its-so-hard-to-stop-isis-propaganda/386216/. Dewey, Caitlin. 2013. The State Department’s Arabic outreach team spoofed an al-Qaeda video. Accessed from https://www.washingtonpost.com/news/worldviews/wp/2013/07/09/the-state-departments-arabic-outreach-team-spoofed-an-al-qaeda-video/. DOT. 2007. What you don’t know about 9/11 attacks. Accessed from https://www.youtube.com/watch?v=S01RaG9mGLc. DOT. n.d.. About. Accessed from https://www.youtube.com/user/StateDepartment/about. Global Engagement Center. 2014. Welcome to the ‘Islamic State’ land. Accessed from https://www.youtube.com/watch?v=-wmdEFvsY0E. Global Engagement Center. 2016. YouTube. Accessed from https://www.youtube.com/channel/UCUjopo5TdYn5qGC5QmbkpcQ. Office of Inspector General. 2008. Alhurra’s Programming Policies and Procedures. ISP-IB-08-45, May. United States Department of State United States Department of State and the Broadcasting Board of Governors. Accessed from https://oig.state.gov/system/files/106057.pdf. Revise, Nicholas. 2014. The US has launched a Social Media offensive Against ISIS. AFP. Accessed from http://www.businessinsider.com/afp-us-cyber-warriors-battling-islamic-state-on-twitter-2014-8. Schmitt, E. 2015. U.S. Intensifies Effort to Blunt ISIS’ Message. The New York Times. Accessed from http://www.nytimes.com/2015/02/17/world/middleeast/us-intensifies-effort-to-blunt-isis-message.html?_r=0. United States Department of State. 2015a. (SBU) Paris Visit. Sensitive but unclassified. Note for the Secretary. June 9. 201508510. Accessed from https://assets.documentcloud.org/documents/2101556/diplo.pdf. United States Department of State. 2015b. Launch of the Sawab Center. Office of the Spokesperson, Washington D.C. July 8. Accessed from http://www.state.gov/r/pa/prs/ps/2015/07/244709.htm. U.S. Central Intelligence Agency. 1950. “National Intelligence Survey- Iraq, Section 43, Religion, Education, and Public Information,” FOIA Electronic Reading Room. Accessed from https://www.cia.gov/library/readingroom/docs/DOC_0001252339.pdf. U.S. Department of State. 2011. Center for Strategic Counterterrorism Communications. Accessed from http://www.state.gov/documents/organization/116709.pdf. Vine. 2014. Digital Outreach Team. Accessed from https://vine.co/v/O1D3dEFrgWK. Wikileaks. 2006. Digital Outreach to Oman. December 13. From Muscat, Oman to Secretary of State. Accessed from http://wikileaks.cabledrum.net/cable/2006/12/06MUSCAT1684.html.